Macrophage in lung. 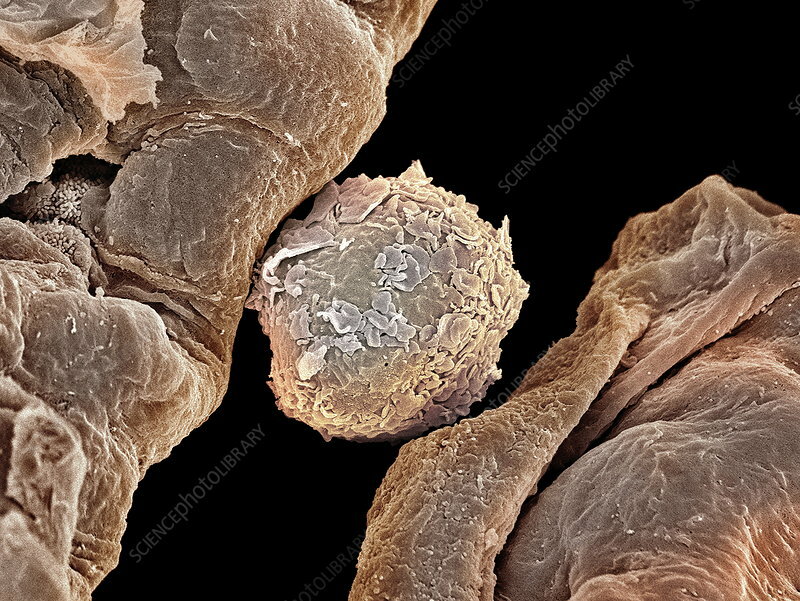 Coloured scanning electron micrograph (SEM) of a macrophage cell (round) in an alveolus. Alveoli are the tiny air sacs that are the site of gaseous exchange in the lungs. Macrophages are a type of large white blood cell that are found in tissues rather than circulating in the blood. They recognise foreign particles, including bacteria, pollen and dust, and phagocytose (engulf) and digest them. Magnification: x1000 when printed 10 centimetres wide.